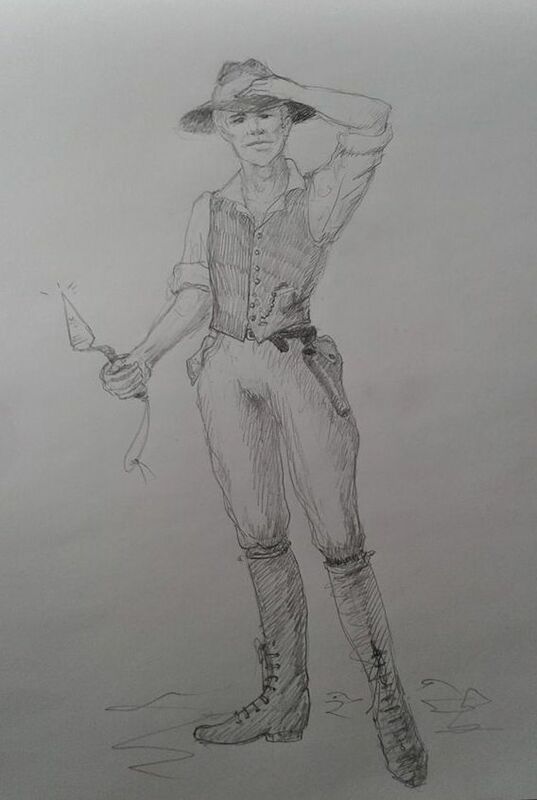 11Writer Elin Gregory is also a talented artist, and is the creator of these delightful drawings of Rafe Lancaster and Ned Winter, the heroes of the Lancaster’s Luck stories. Rafe Lancaster. Ex-fighter pilot. Present coffee house owner. Man About Town. Gentleman. Scion of a cadet branch of House Stravaigor. Confirmed bachelor–if you know what he means (and he expects that you do). And in this regard, lover of Ned Winter. Pictured on an archaeological dig in Abydos, Aegypt, over the winter of 1900-1901. 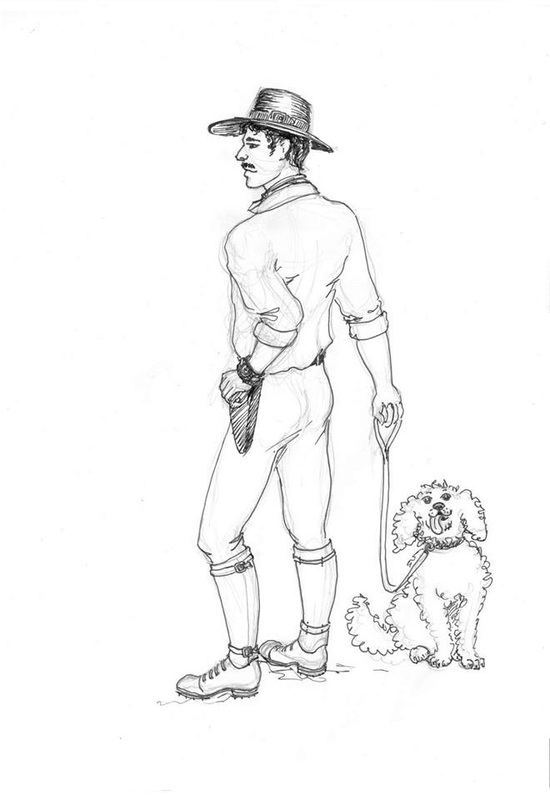 His co-star in this illustration is Molly, owned by Master Harry Winter. Ned Winter. First Heir of Convocation House Gallowglass. Professor of Aegyptology, University College School of Aegyptology and the Britannic Imperium Museum. Widower. Father (two sons). Lover of Rafe Lancaster.